The Original Brazilian Blowout smooths and eliminates frizz for up to 12 weeks, locks in color, reduces styling time and improves overall integrity of the hair in just one session. Takes the styling out of your hands for months! Each Brazilian Blow out comes with a full retail size take home care set of Acai Anti-Frizz Shampoo and Acai-Anti-Frizz Conditioner ($75 Value). The Brazilian Blowout Professional Split End Repairing Treatment, the only in-salon treatment that instantly strengthens, repairs, seals, and protects ends for 4 weeks in only 10 minutes! 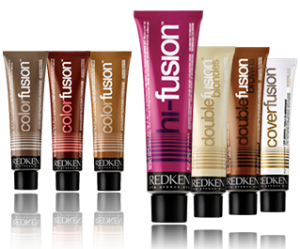 Reconstructs & repairs weak broken strands, seals split ends instantly, and protects against heat & future damage. *All Menu Pricing is subject to change and will be confirmed with your service provider during your consultation to provide customized services to your individual needs.